Martin Shearn was Parish Clerk for many years from the mid-1960's, and he recorded the state of the village at that time. Take a stroll around the residential streets as they used to look, and click on each of the images for a closer view. 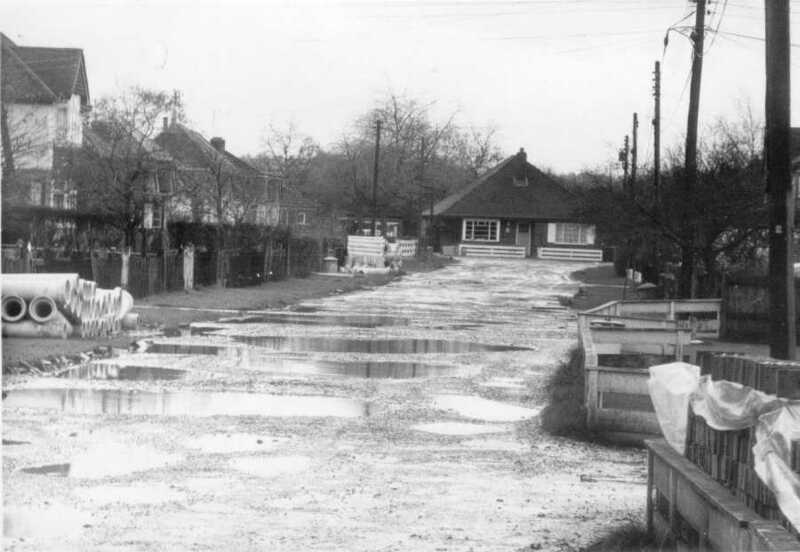 Walden Avenue didn't receive main drainage until the early 1970's. As can be seen here, the residents had to put up with enormous puddles when it rained. Melrose Gardens was built in three phases. 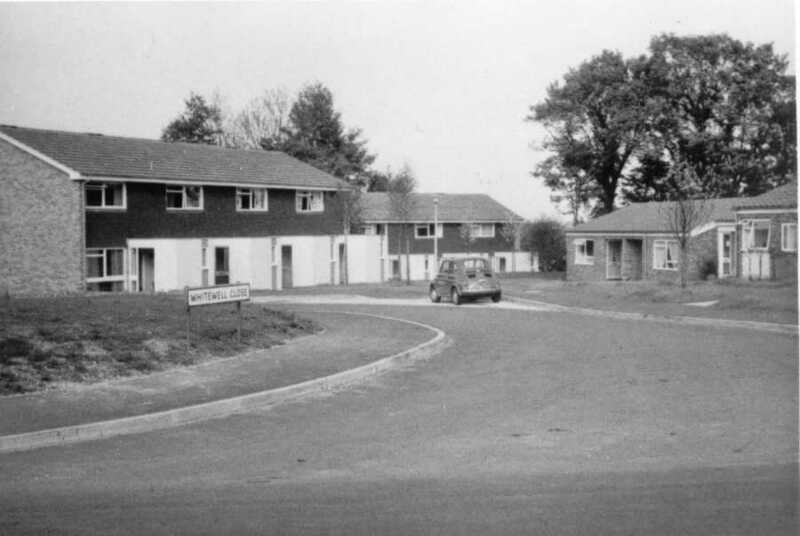 The first was prior to 1961, down to the footpath that runs alongside the Village Shop and out towards Arborfield Court. 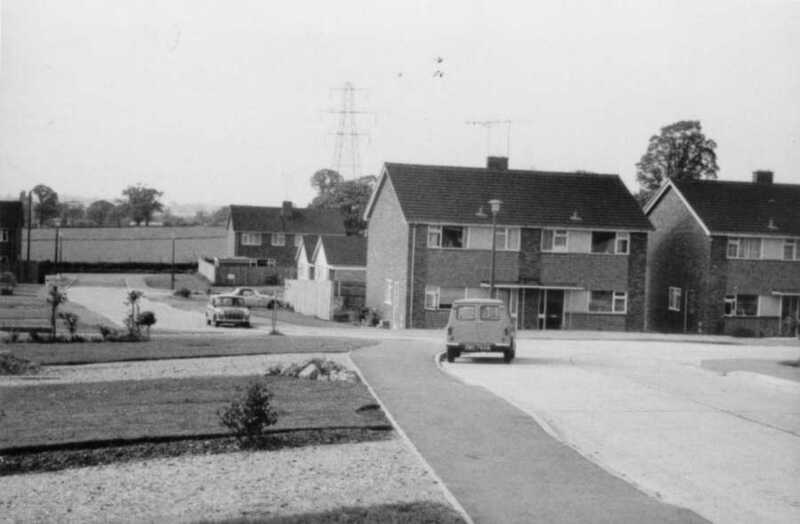 An aerial photo from this time clearly shows the footpath and a field behind Arborfield Stores, which soon afterwards was covered by the 'new houses' - six pairs of semi-detached chalet-style and one detached. This photo is taken from just beyond one of the 'new houses', No. 43, looking up the hill. 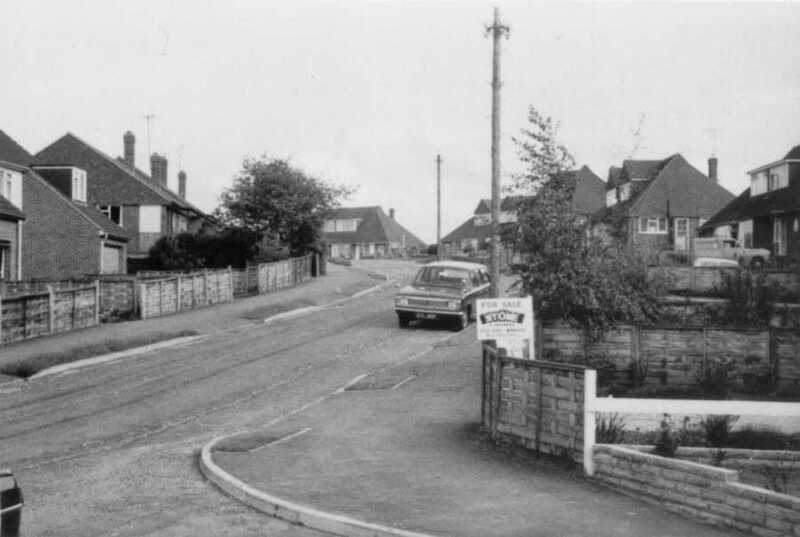 When the road was extended in 1963, the inlet shown here was removed, because there was no need to turn round. 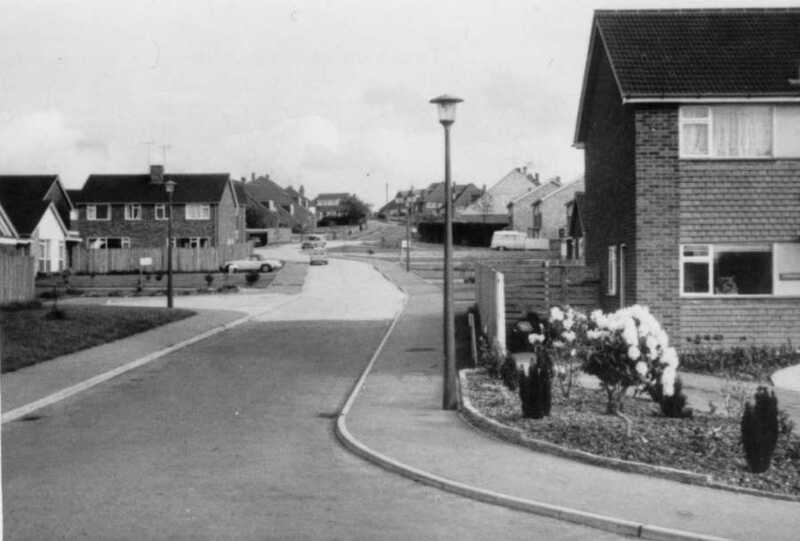 These photos of Melrose Gardens were taken in 1973, when the road had been extended to join Swallowfield Road. 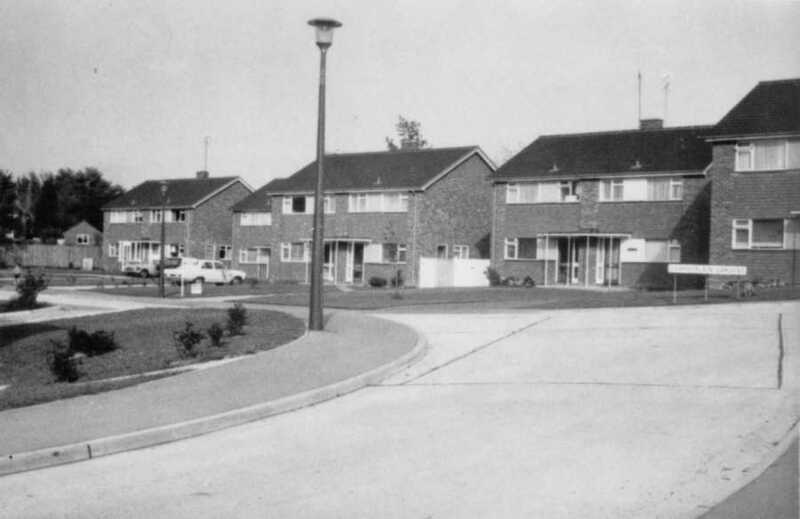 The Parish Council had fought hard to reduce the density of the housing on the so-called 'Chamberlain's Estate', and had insisted that the road was diverted so that that there wasn't a straight run to the bottom of the hill, no doubt to the relief of the new residents. 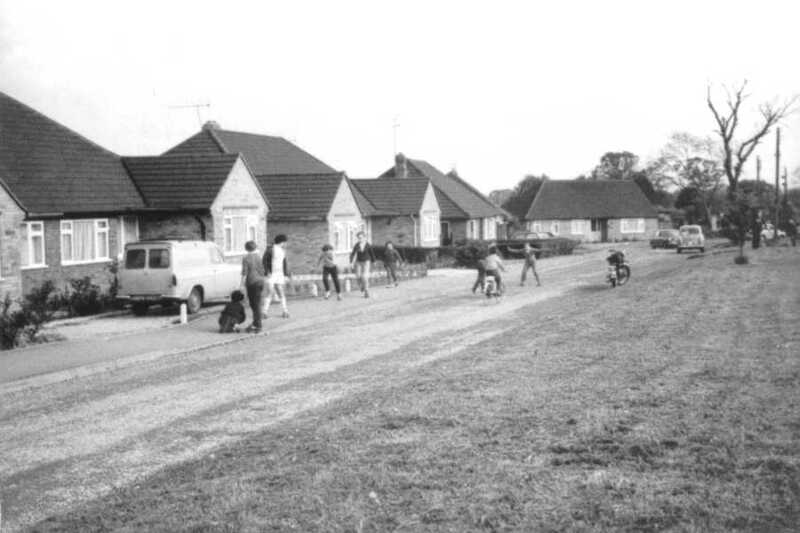 Those who lived there at that time can surely recall the sound of motor-bikes then highly popular with teenagers. 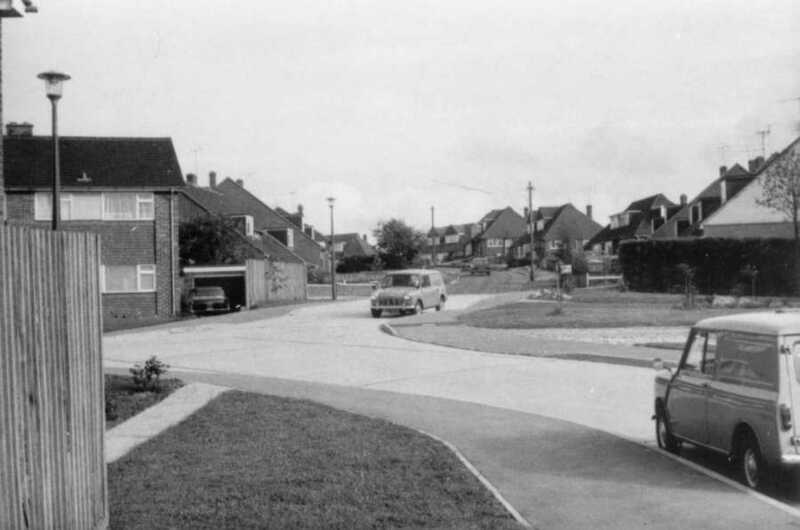 Eventually, the road was converted into a cul-de-sac when a new pair of semi-detached houses was built across the entrance to Swallowfield Road. this new house is asymmetrical; one part is much wider than the other, no doubt to fit into the available space. Follow the road as it used to look, gradually working up the hill. In this view, looking down the hill from No. 43, the bend in the road can clearly be seen. Since the early 1970's, a Sycamore tree has completely changed the outlook, obscuring the road further down. 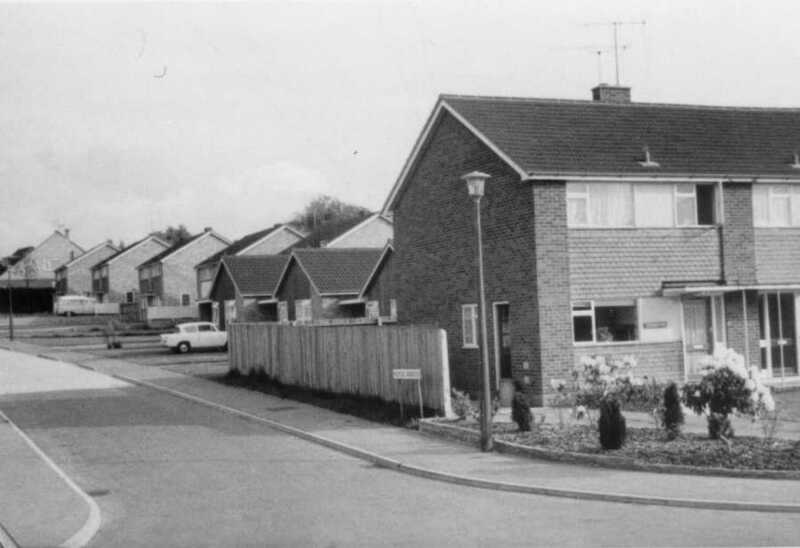 In any event, the later semi-detached house built across the exit to Swallowfield Road has itself obscured the view of the Park. 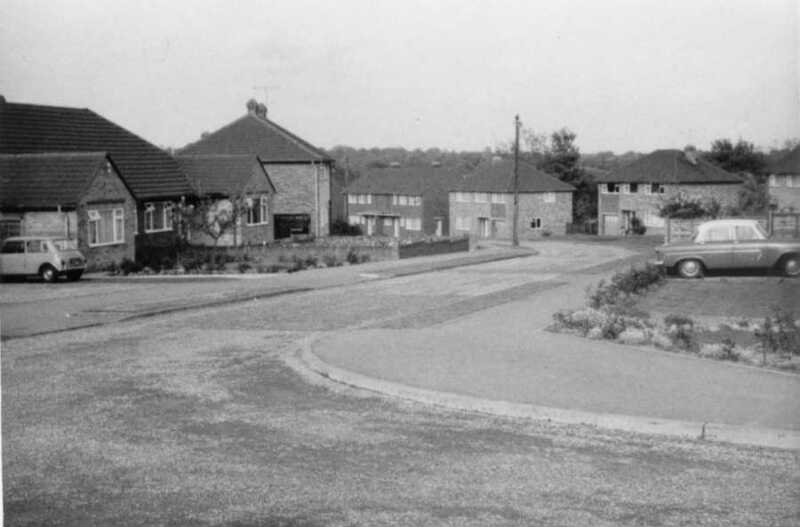 At the top of the hill, Melrose Gardens meets Eversley Road and Link Way - built in 1960 and shown here in 1973. 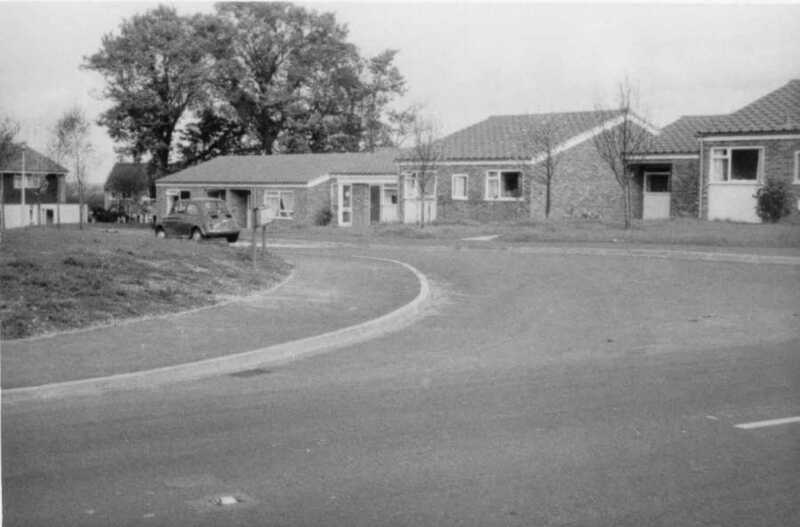 Also built by 1973 was Whitewell Close, built on the site of Whitewell Cottages. For Martin's postcard collection, click here.